The path to power is often paved with atrocities. Choose up to four target cards in your graveyard. If you control a Bolas planeswalker, return those cards to your hand. Otherwise, an opponent chooses two of them. Leave the chosen cards in your graveyard and put the rest into your hand. 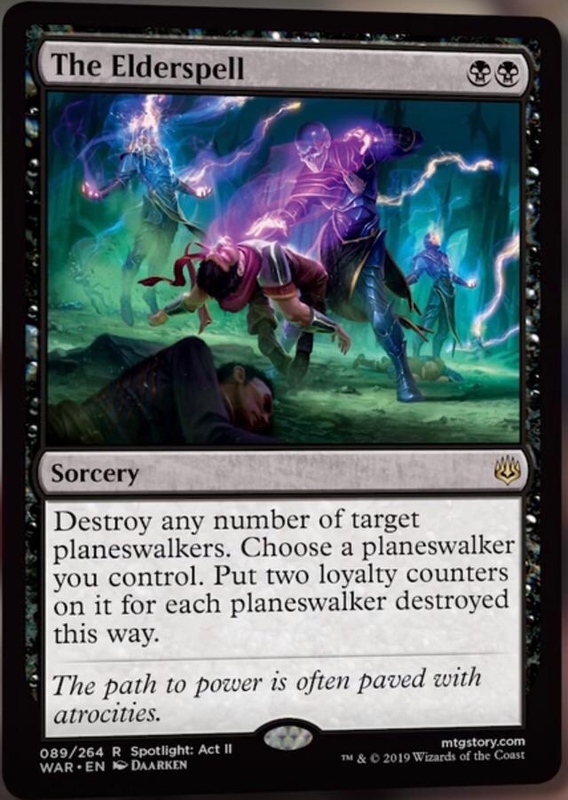 edit: I wish The Edlerspell said "Destroy any number of target planeswalkers you don't control" so it would be truly anti-walker. The way it's worded, this is more of a combo-walker card than anti-walker. 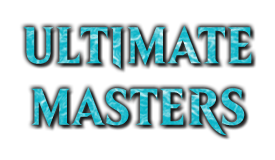 Sacrifice 1-2 of your walkers to trigger an ultimate on another. well The Elderspell is quite good I'm sure it'll find places in standard and commander. Deliver Unto Evil is useful, I guess its Bolas's 3rd? related card (I was giving him The Elderspell as well). 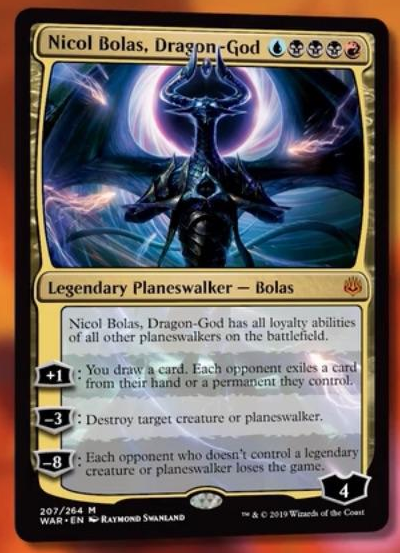 Glad this confirms Bolas and is the last of the leaks to be confirmed (also the last card of the leaks). Funny thing is that both Elderspell and Deliver Unto Evil are Act II cards. Seb McKinnon hits it out of the park *again* with Deliver Unto Evil, which I also think has a sweet effect for EDH and is one of the more "awesome" card names in game. Elderspell is hilarious and is certainly getting slotted right alongside Nicol Bolas into my 5C Planeswalker EDH, but Elderspell also has implications for Standard for sure. 2 mana targeted removal is nothing to scoff at. Is it just me or is elder spell a little too good? Being able to kill any number of planes walkers for just two mana? 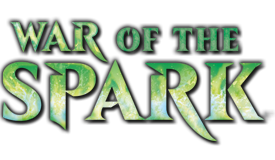 Who´s dying in the artwork of The Elderspell ? The Elderspell: Yes.... Yes it is.... Your Souls are MINE! MTG Junky... First packs being a starter of each 4th Edition and Ice Age. Good Grief, I've been playing since 1995? Where does the time go! this is mtgs, where occam's razor is so blunt it can't cut jello any more. Am, that art by Seb is awesome even if the cart isnt. 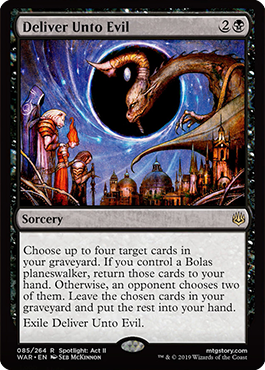 The Vorthos in me sings praises for Elderspell, and Bolas is the card that you have to slam down on the table. Those two cards (with Spark Harvest) being Act II makes sense. Act II is when the worst happens and everything turns against the heroes. 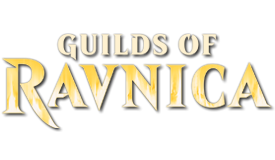 The arrival of the God-Eternals, the casting of the Elderspell, and Bolas's ascension to Godhood are there to set the stage for the dramatic comeback in Act III. The Elderspell is just silly. I went back and looked at the stained glass art and it's not one of the 36 that have cards in this set. 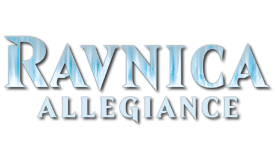 A reminder that Dack does die, and doesn't have a card, so it could be nearly anyone for modern day Planeswalkers. I'll go and take a look at see what kind of clues I can find. 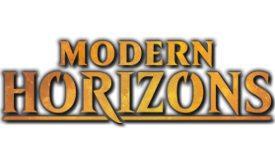 Closest candidate looks like it's Ral Zarek, actually. The red draping scarf gives it away. Well, it's a very specific spell that works only with walkers and usually kills 1 walker, but in War environment I can easily see people winning Limited games simply by playing it. Yeah, Limited nuclear bomb no less. 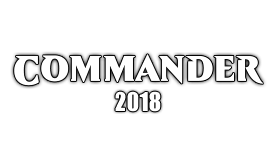 The elder spell is going to be banned in standard because it will warp the format around it.